There’s no denying the power of content marketing, which is why we’re seeing business in almost every industry prioritize their content creation. Businesses love it because for each dollar spent content generates three times as many leads as traditional marketing methods. Consumers are also happier because 70% prefer learning about companies by reading their articles than through ads. Basically, it’s a win-win for everyone. If you want to grow your business in 2018 and beyond, you need to generate amazing content and take advantage of digital publishing. Write more ebooks and whitepapers, create more infographics and other types of marketing collateral. At PageTurnPro, we want you to succeed. We want your content to be read, shared, and drive your sales – which is precisely why we developed our digital library solution. 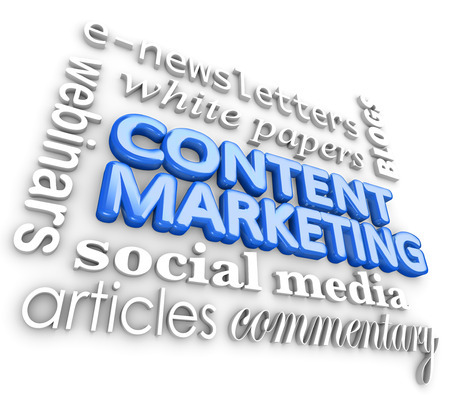 It provides you with everything you need for a winning content strategy. To help you make the most out of your original content, we’re sharing how our digital library can help you meet your content marketing goals. People shouldn’t have to waste time hunting down your content. Make it easy to access by storing it all in one place. With a digital library, all of your marketing materials (Ebooks, Brochures, Whitepapers, Catalogs, etc.) are stored together in one URL. It spares prospects from having to search your site to find the content they want, and it also boosts readership. You’ll see that people are more likely to read more of your content when it’s easy to access. This is especially important considering that one piece of content doesn’t sell a product. Consumers read multiple articles before they come to a buying decision, and with our digital library they’ll have all of your content at the touch of their fingertips – making them more likely to convert from a lead to a sale. Using and understanding data is key to determining what’s working – and what isn’t – with your original content. PDFs don’t provide you with statistics on number of views, link clicks, or file downloads. Without this document level data, it’s impossible to get a real understanding of the material that your audience finds useful and responds to. Our digital library has backend traffic reports to give you the user insights that you need to optimize your content strategy. Learn which materials get the most views, media engagement, email and social media shares, and downloads. In fact, our traffic reports go beyond the document level down to the page level. You can also integrate your digital library with your Google Analytics account to get the reporting in a familiar form and location. Responding to inbound leads within 30 minutes of the request increases the chances of conversion by more than five times. PageTurnPro’s digital library automates the process of capturing new user data and adding it to your CRM and marketing automation software. This means that new users can be instantly segmented and added to your marketing lists, targeted by the right promotions, email workflows, and customer service or sales follow ups. Salesforce.com, Hubspot, Act-On, Mailchimp, and Eloqua are among the examples of integration with our digital library. One of the best ways to optimize sales is to communicate with prospects when they’re thinking about your business. It’s much more effective than cold-calling because when they already have you on their mind, they’re more likely to be interested in learning more and engaging with you in a meaningful conversation. With our digital library solution, your sales team can receive real-time alerts when users download or print your Ebook. (Their name and contact information gets collected in the simple lead capture form they’re required to fill out when they print or download the file). This tool helps your sales team reach prospective clients at the right time, increasing the chances of closing a sale. 2019 © Copyright PageTurnPro. All rights reserved.